How were simple fishermen able to spread the news of the Resurrected Christ throughout the whole world? Why do we not bury the dead on Pascha? Do we have to fast before Communion during Bright Week? 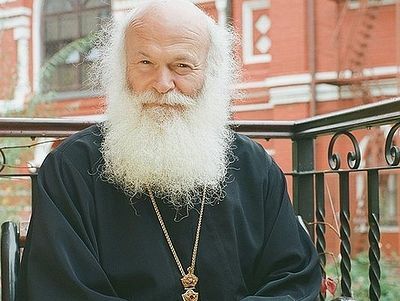 His Beatitude Metropolitan Onuphry speaks on these and other issues in this interview. —Your Beatitude, every year in the Paschal hymns we hear these words: “The feasts of feasts, holy day of holy days.”1 What does the feast of Pascha mean for modern man? —But people continue to die today. What changed after the Resurrection of Christ? —By atoning for our sins on the Cross, the Lord opened the path to the Heavenly Kingdom by His Resurrection. 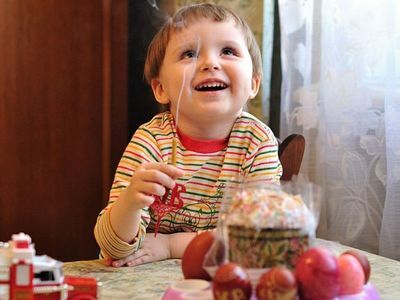 Therefore, the feast of Holy Pascha is the greatest and most joyous for Christians. Life has acquired new meaning, being filled with great hope, but death has lost its power and authority. We have all been called to become participants in this great spiritual victory which our Lord Jesus Christ accomplished. His Resurrection is the core of our faith. And if Christ be not raised, your faith is vain; ye are yet in your sins (1 Cor. 15:17). 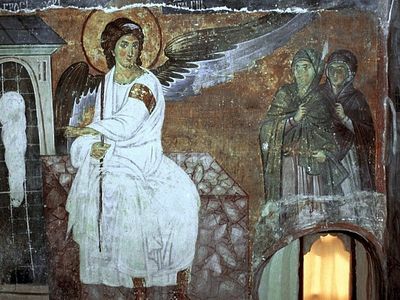 After the Resurrection of Christ, death in its own sense (as a break between man and God) has lost its absoluteness: It depends on a man’s own choice. He who chooses life with God receives eternal life. —Why don’t we commemorate the departed in Bright Week? —Paschal joy cannot be overshadowed by memorial sorrow. We remember the departed in these festal days only in light of the joy of the victory over death, sin, and the devil. —It is well known that Christ resurrected nearly 2,000 years ago. How were simple fishermen, His disciples, able to spread this Good News throughout the whole world? —This great miracle was foretold already in the Old Testament: Their sound hath gone forth unto all the earth, and their words to the ends of the world (Ps. 18:4). The strength of the apostolic preaching was in the gift of the Holy Spirit, Who filled the hearts and mouths of Christ’s disciples. The early Christian Church was abundantly full of special gifts of the Spirit, which opened people’s hearts, and laid within them the Good News of the Resurrection of Christ and man’s salvation. Also, the strength of apostolic preaching was in the experiential knowledge of that which they preached and taught. Almost all of the apostles testified to the truth of their preaching with a martyric death. They taught us to correctly believe in God. —And why does faith have special significance in the work of our salvation? —The apostle Paul says that without faith it’s impossible to please God (cf. Heb. 11:6). Our faith is the substance of things hoped for, the evidence of things not seen (Heb. 11:1). It is the highest manifestation of free will. Faith discloses the inner essence of a man, determining his choice between good and evil. Faith teaches us to direct our freedom towards fulfilling the Commandments of God, and not to succumb to the influence of the passions. Sometimes a man can wind up under the influence of undisputable facts which define his faith, as it was, for example, at the apostle Thomas’ meeting with the risen Christ. The Lord Himself then testified to him: Because thou hast seen me, thou hast believed: blessed are they that have not seen, and yet have believed (Jn. 20:29). —Where does the tradition of blessing Paschal kulichi and eggs come from? —Bread has always held an important place in human life. Believers reverently referred to it as a gift of God. At the Mystical Supper the Lord gave His disciples His Most Pure Body in the form of bread. After His Ascension into Heaven, the apostles continued to gather at common meals: Bread was placed at the head of the table in commemoration of the fact that He abides, as He promised, in the midst of His disciples (Mt. 18:20). In remembrance of this, on Pascha we bless the artos—bread, which stays in the church throughout Bright Week, by the icon of the Savior, as a sign of the presence of the Lord Himself. Believers traditionally eat blessed bread—Paschal kulich—with reverence and gratitude to God at their home table. Painted eggs are also blessed on Pascha. The egg was perceived in the Church’s consciousness as a Paschal symbol of the new life which is opened to us with the Resurrection of Christ. The red color symbolizes the Paschal joy obtained by our Savior’s sufferings on the Cross. Understanding the spiritual meaning embedded in these symbols, a Christian should first strive to meet with our Lord Jesus Christ Himself on the path of repentance, humble prayer, and Communion. —How should we spend Pascha week? —We must spend Bright Week as Christians, in spiritual joy, not in indulging the flesh and pandering to the passions. Great Lent gives Christians the correct attitude towards life and non-Lenten days, by habituating us to abstention in food and pleasures, and to prayer. It would be unwise, after the end of Lent, to squander the spiritual attitude acquired, giving ourselves over to indulgence and sloth. For a Christian, the end of Lent should not be an occasion for aggravation by the passion of gluttony and losing that which was acquired by spiritual labors during Lent. Rejoicing in the Resurrection of Christ, a Christian should strive, as musch as possible, to go to church daily to the Divine Liturgy. Rejoicing in the Resurrection of Christ, we must not forget those who are struggling, who suffer, or who have no shelter or food, and who are feeble and sick. Let us not forget that in doing good and helping these people, we render honor to the Lord Jesus Himself (Mt. 25:40). —Must we fast before Communion during Bright Week? —Our people have already been rooted in the Orthodox faith for more than a thousand years: It has deeply entered into all aspects of our lives. Even the decades of atheistic persecutions were unable to quench the light of the Christian faith in the people’s consciousness, customs, and culture. The majority of our compatriots (even if they don’t regularly go to church) remain Orthodox Christians in essence, in the depths of their souls. This is evident not just in the blessing of Paschal kulich, but in their reverent attitude to the Lord Jesus Christ, the Word of God, and to the Church of Christ, and to prayer. Reverence and respect for the most important Orthodox feasts has been preserved in to the people’s consciousness: Pascha, the Nativity of Christ, Theophany… The people try to go to church on these days, to pray, and to participate in the services. —Unfortunately, far from all do this. Some justify themselves saying, “I have God in my soul,” so they don’t need “mediators in the faith,” and so on. —When people say that they have God in their souls, the question immediately arises: Can Christ God enter into the heart of someone who does not listen to Him? The New Testament says that the Lord calls us to repentance (Mt. 4:17), obedience to the Church (Mt. 18:17), Communion (Jn. 6:53, 54), and life in unity with the Savior (Jn. 15:5). And if someone sins and doesn’t even think to confess, how can the Holy Spirit be with him? If someone thinks he has no sins, then he is deeply deceived. Unfortunately, many today do not hesitate to repeat stereotypes imposed from outside. But no matter how they try to silence the voice of their consciences—the voice of God—the soul still yearns for the Heavenly Father. After all, it is Christian by nature. 1 Ode 8 of the Paschal Canon. 2 His Beatitude is referring to days of fasting before receiving Communion. He is not saying that the total fast from midnight on the day of Communion is annulled in Bright Week.